Part memoir, part analysis of America's racial history, part investigation of the country's current crisis, all framed as a letter to Coates' son. What Between the World and Me does better than any other recent book I can think of is relentlessly drive home the point that 'racism is a visceral experience' ... in this book he is firing on all cylinders, and it is something to behold: a mature writer entirely consumed by a momentous subject and working at the extreme of his considerable powers at the very moment national events most conform to his vision. 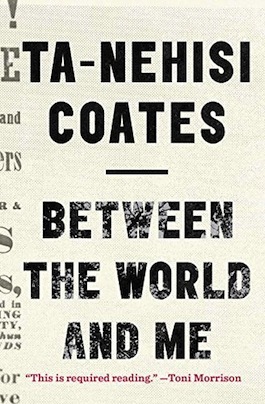 Rather than urging his son to awaken to his own power, Coates emphasizes over and over the apparent permanence of racial injustice in America, the foolishness of believing that one person can make a change, and the dangers of believing in the American Dream ... the problem, to the extent there is one, is that Coates’s book is unfinished. He raises numerous critically important questions that are left unanswered ... Perhaps Coates hasn’t yet discovered for himself the answers to the questions he poses in Between the World and Me. But I suspect that he is holding out on us. Everything he has ever written leads me to believe he has more to say. 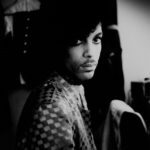 He may imagine that we are better off figuring out for ourselves the true nature of the Dream and what it means to be engaged in meaningful Struggle. But I believe we could only benefit from hearing what answers Coates may have fashioned for himself. The book is polemical at times, but it’s also driven by probing reporting and a loving intimacy. For example, Coates writes with tremendous power, but also intense grief, about a dashing African-American college friend who was shot by a police officer under highly suspicious circumstances outside Washington, D.C., more than a decade ago ... demonstrates this author’s admirable ability to interrogate himself and challenge his own attitudes and ideas, while picking apart those generally held by the society he lives in. Coates’ book possesses a brooding eloquence that only carefully channeled anger and sadness can produce ... stands to become a classic on the subject of race in America. What did you think of Between the World and Me?